This week we hosted a group of high school students from all over the world (although mostly USA) as part of the Nat Geo Student Expeditions. We packed in a lot of programming into the 2 and a half days they were at CCF including: a cheetah run, helping out the cheetah husbandry team, learning about the model farm, cleaning up after goats, participating in talks about poaching, vet clinic workup procedures and much more. 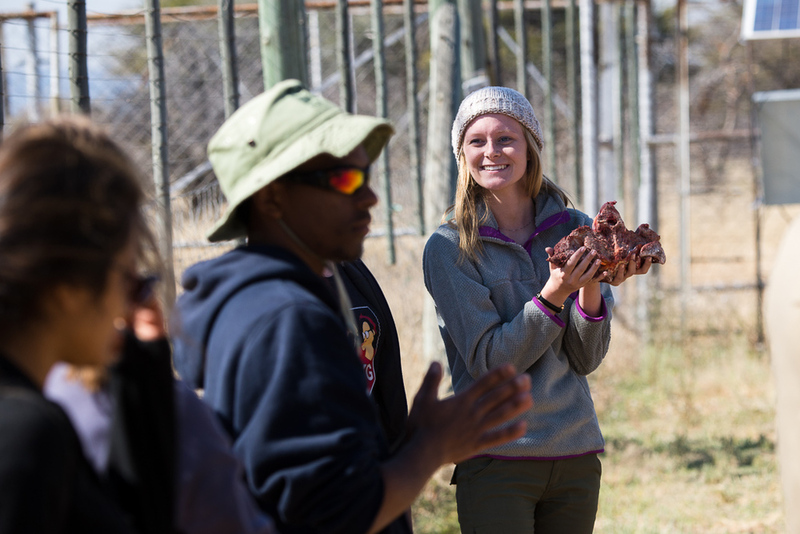 The students stayed in Namibia for about 20 days total and made CCF their last stop. Amazingly, the kids still had some energy when they were here and genuinely seemed interested in learning more about how to get involved in conservation. Some students even went as far as saying that they wanted to intern at CCF when they start their college careers. All in all we had a great time with the students and the tour leaders/teachers. This was the 2nd consecutive year that Nat Geo had the program visit CCF and we certainly hope they return again next year. Of course, now as is ceremony, after a student group visits we can all take a day off to recuperate before the next group arrives. With visiting groups the day typically starts at 6:30am and sometimes doesn't end until 8 or 9pm. They are long days, but that goes a long way to ensuring the group has a good experience.